On Wednesday, November 7, attorneys from the Brinks Ann Arbor office will host a Lunch & Learn discussing What's next with Industry 4.0? 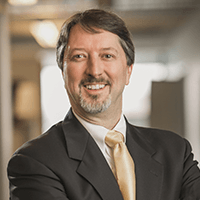 Our guest speaker will be Tom Kelly, CEO and Executive Director of Automation Alley. If you are interested in attending, please send us an email by clicking the button to the left. Automation Alley is Michigan’s Industry 4.0 knowledge center, focused on the eight core technologies of Industry 4.0: Industrial Internet of Things, robotics, artificial intelligence, Big Data, cloud computing, cybersecurity, advanced materials and additive manufacturing, and modeling, simulation, visualization and immersion. Tom, who moderated a World Economic Forum community dinner on Industry 4.0 in Tianjin, China in September, will discuss smart manufacturing, what is currently being done globally and locally with Industry 4.0, what remains to be tackled - and how Michigan can lead the way in the fourth industrial revolution.